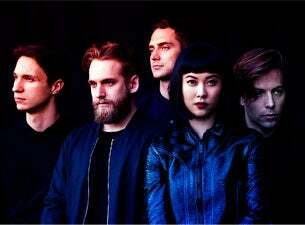 New Zealand ensemble group The Naked and Famous have won both critical and popular praise for their alternative pop-rock sound. The success of their debut album saw them honoured at the New Zealand Music Awards, nominated in no fewer than nine categories, including Album of the Year and Best Group, they went on to win seven prizes at the ceremony itself. Their tracks have also been used in top television shows such as Grey’s Anatomy and True Blood.